Proudly Part of the Community. Canad Inns Destination Centre Windsor Park is proud to offer traditional double queen, and king rooms along with Executive Queen Rooms and Kitchenette Suites. 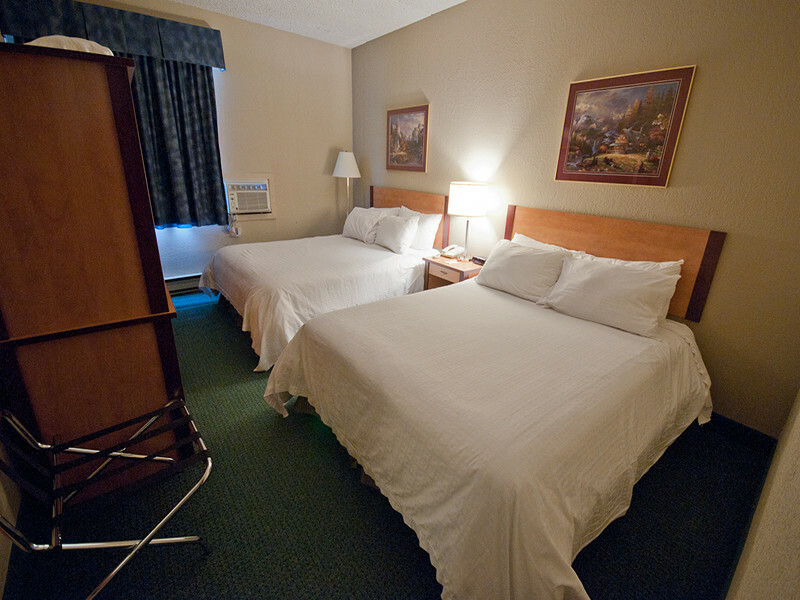 Located on the east side of the City of Winnipeg, our hotel is a convenient and fun place to stay. We are within minutes of two major shopping centres including the province’s largest St. Vital Shopping Centre as well as Kildonan Place Shopping Centre. We are close to attractions including the Royal Canadian Mint and Western Canada’s largest Francophone community – St. Boniface. At Aaltos, our mission is to serve fresh authentic comfort food in a relaxed environment. The Aaltos Buffet Experience includes limitless access to our famous Home-style Soup Bar, Fresh Garden Bar, Hot Buffet, and Dessert Buffet complete with Make-Your-Own Sundae Bar. Aaltos Buffet offerings are made in-house using fresh ingredients, and authentic recipes. Aaltos Fresh Buffets offer something for everyone and every occasion. Join us! Tavern United is a new world sports pub that brings the casual pub experience across the globe to your neighborhood. Tavern United – your destination for good food, good friends and a good time. 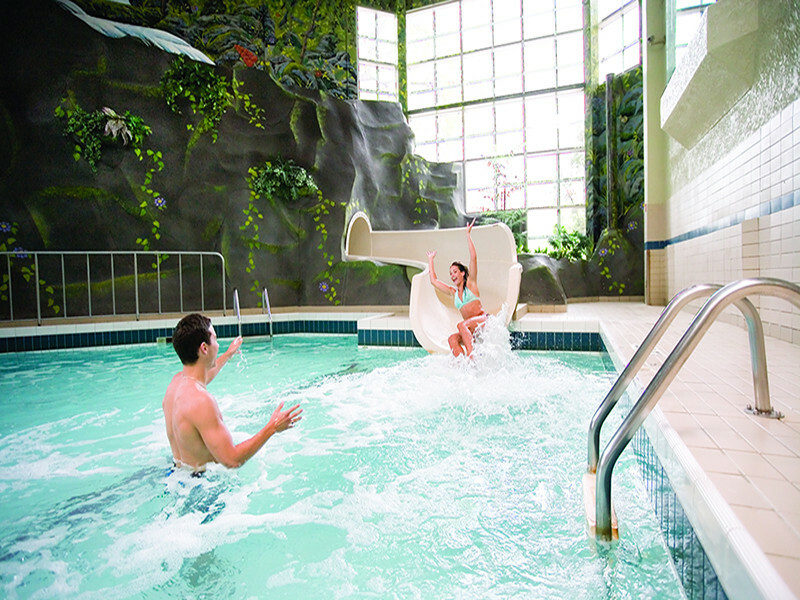 Splasher’s Indoor Pool & Waterslide is our amazing water park, featuring huge wild water slides, creatively shaped and refreshing pools, relaxing hot tubs and safe kiddie pools. Ambassador Banquet & Conference Centre offers state-of-the-art technology, elegant facilities with on-site catering perfectly suited for meetings, conferences, trade shows, galas, weddings, family celebrations, and so much more. A variety of smaller meeting rooms adjacent to large function areas ensure space is available to suit any event. From 10 to 250, Ambassador Banquet & Conference Centre is ready to make your next event memorable. Playmaker’s Gaming Lounge is a “boutique casino” where players try their luck on modern VLTs, taking in the “Las Vegas” style action. Meet friends at Playmaker’s Gaming Lounge and relax with a drink and snacks as you watch the big game. The Bottle Stop is a friendly shop to pick up your favourite cold beverages from ales and ports to lagers and lights. The Bottle Stop also provides convenient service for filling permits for your next wedding, social, or social event. Open late every night for your convenience. Cowboys is the home of Country music in Winnipeg. This western themed two–storey club’s world class stage has played host to numerous concerts and events including Dierks Bentley, the Black Eyed Peas, Matthew Good and Default. Cowboys’ NASA inspired light show descends from a penthouse location high above the dance floor. The CanAdvantage Rewards program is the only rewards program that allows members to earn and redeem the same points for Guest Rooms, Banquets, Restaurants, and Special Offers – all with one simple to use program!